Auto shows are often a place for manufacturers to get a little experimental, with brand names often showing off heavily-modified versions of existing models or wildly futuristic concepts. 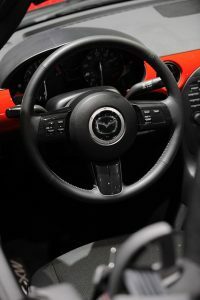 Mazda got in on the craze when it showed up to the Tokyo Auto Salon with two custom Mazda vehicles – more specifically, a modified CX-5 and MX-5 Miata. Tokyo Auto Salon is similar to the United States’ SEMA show so Mazda went all-out giving their entries an extra layer of cool. The 2017 CX-5 hasn’t debuted on the mass-market yet, having just been revealed about a month ago in Los Angeles. 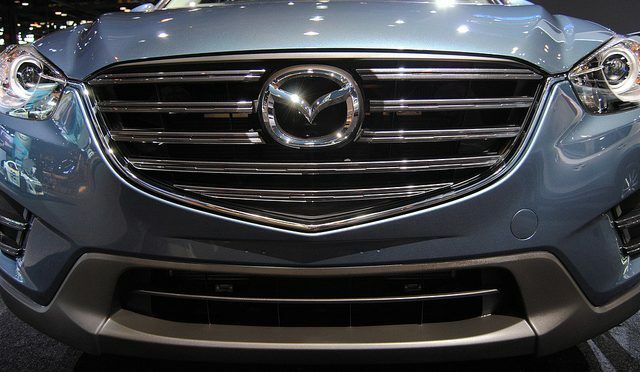 Consequently, Mazda decided to build up even more hype for the crossover by adding more sporty accents to the exterior, such as modified side mirrors, a different front and rear bumper, side skirts, height-adjustable suspension, and 20-inch wheels. Two MX-5 Miatas are coming along for the show, too. One of them boasts similar upgrades as the 2017 CX-5 – sportier design elements and, inside, Alcantara leather trim – while the other features a Classic Red paint job that gives the MX-5 Miata a nostalgic vibe, recalling the car’s US debut in 1989. Other custom Mazda vehicles said to make an appearance will be a rumored CX-3 model, as well as the Global MX-5 Cup race car.